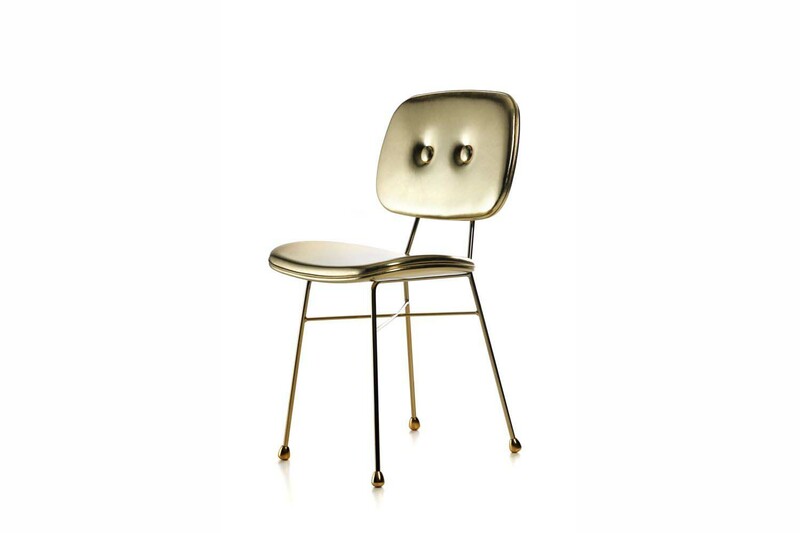 Under a mysterious magic spell, a retro-like school chair is dipped in enchanted golden nectar, which washes away its austerity and crows it with a shiny aureole. 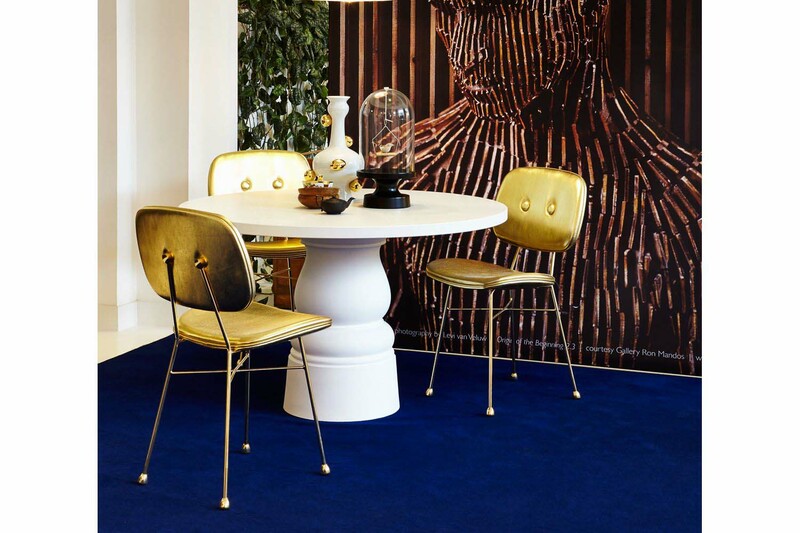 Dream no more and wait for your childhood fairytales to begin, as Nika Zupanc waves her magic wand and fulfils your childhood (or adult) fantasies with a loud, daring and essential design. This stunning piece is constructed from a gold chromed steel frame providing superb resistance and the bright attractive finishing. 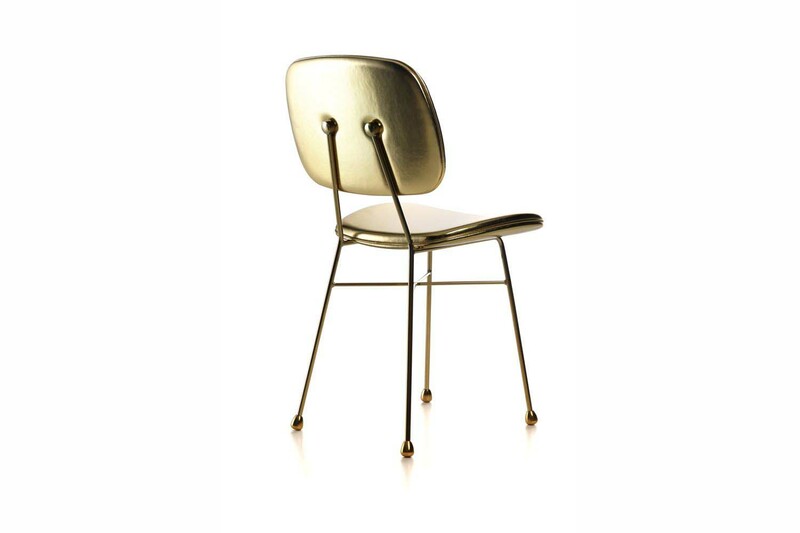 The Chair is covered with gold synthetic leather and there is also a matt version available that has a higher martindale of 200.000, which is an advantage when using the chair in larger projects.